NEW BEDFORD, Mass. 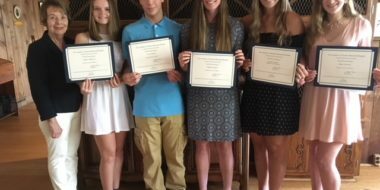 – The St. Luke’s Hospital Auxiliary, a part of Southcoast Health, recently awarded five $1,000 scholarships to area high school seniors who are pursuing a career in healthcare. 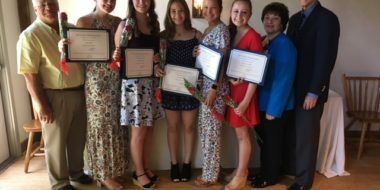 The awards were presented by A. Louise Hughes, Scholarship Chair for the St. Luke’s Hospital Auxiliary, during the annual Scholarship Luncheon held June 9 at the Waterfront Grille in New Bedford. 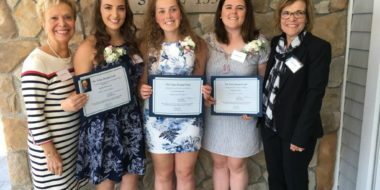 Danielle Barnum, a graduate of Dartmouth High School, will attend the University of Vermont to enter a pre-medical course of studies with a focus on becoming an oncology physician. 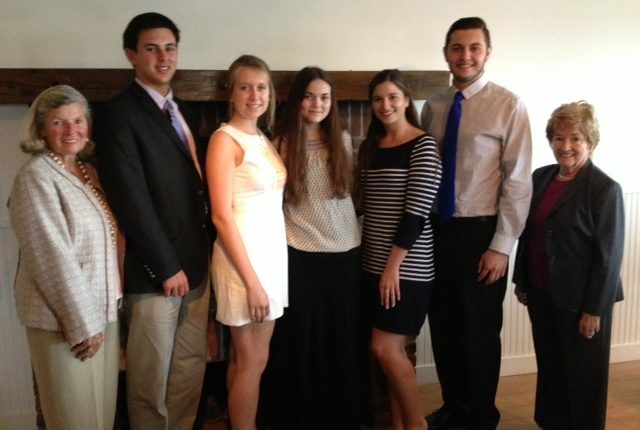 Logan Crane, a graduate of Dartmouth High School, will attend the University of South Carolina to study biology in preparation of becoming a dentist. Alexander Czuchra, a graduate of Bishop Stang High School, will attend Worcester Polytechnic Institute (WPI) to pursue a degree in biomedical engineering. Lindsey Foster, a graduate of Dartmouth High School, will attend Drew University to study biochemistry with a focus on becoming a surgeon. Bridgette Grime, a graduate of Greater New Bedford Regional Vocational Technical High School, will attend Bristol Community College to pursue a degree in nursing. The St. Luke’s Hospital Auxiliary is a non-profit organization whose purpose is to render service to St. Luke’s Hospital, its tax-exempt subsidiaries, its patients and to assist in promoting the health and welfare of the community.